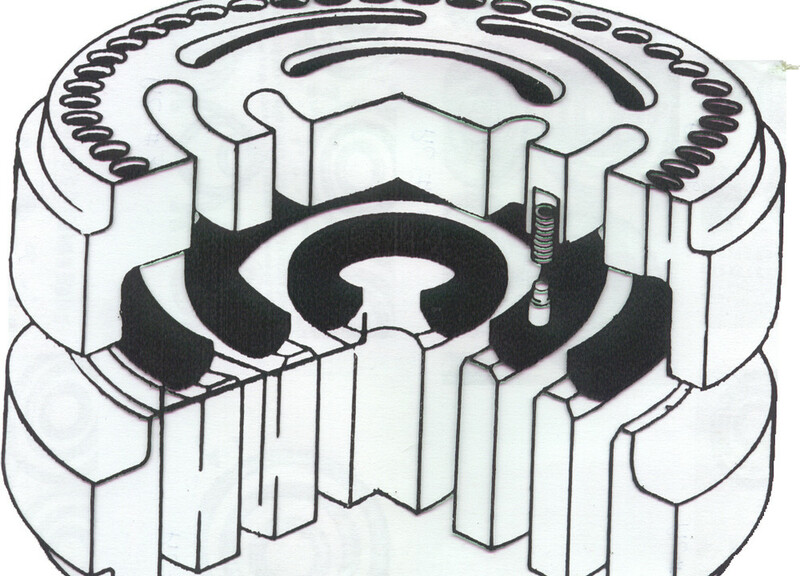 In addition to MMCI’s repair capabilities, it is also home to the Maximum Performance Valve (MPV®). 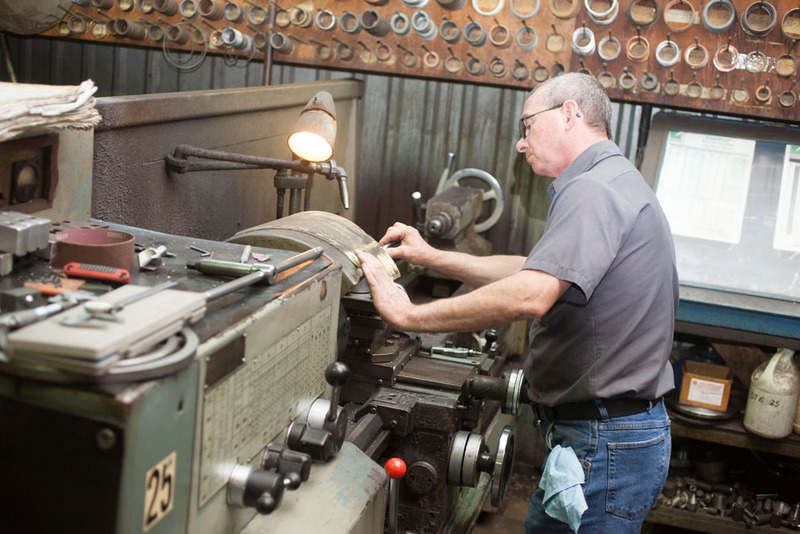 The MPV® was designed and developed by Mark’s Machine as a result of many years of compressor valve repairs. 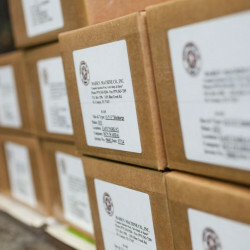 These valves are available exclusively from Mark’s Machine. 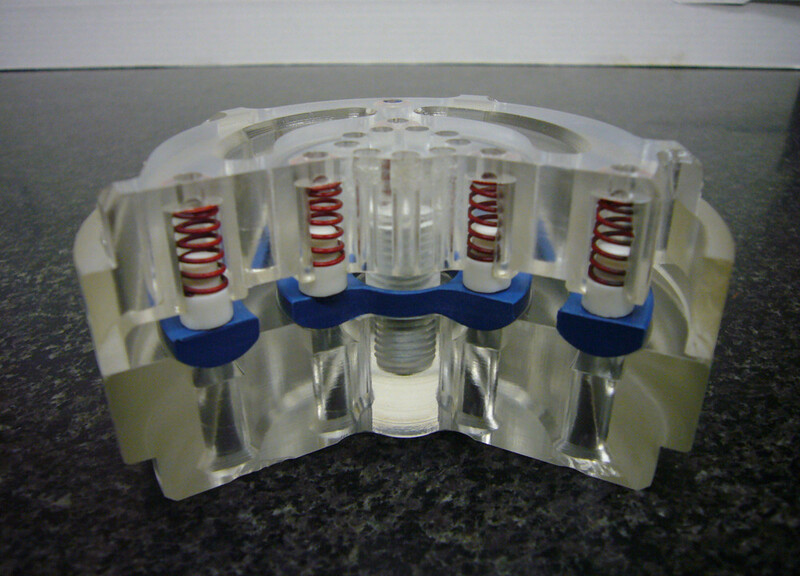 The MPV® Valves have a simple design, requiring no internal guides, pins or wear bands. The result is minimal maintenance and extended life. The Valves feature a radius disc plate designed to allow passage of more gas with less restriction in flow, thus reducing temperature and horsepower requirements. 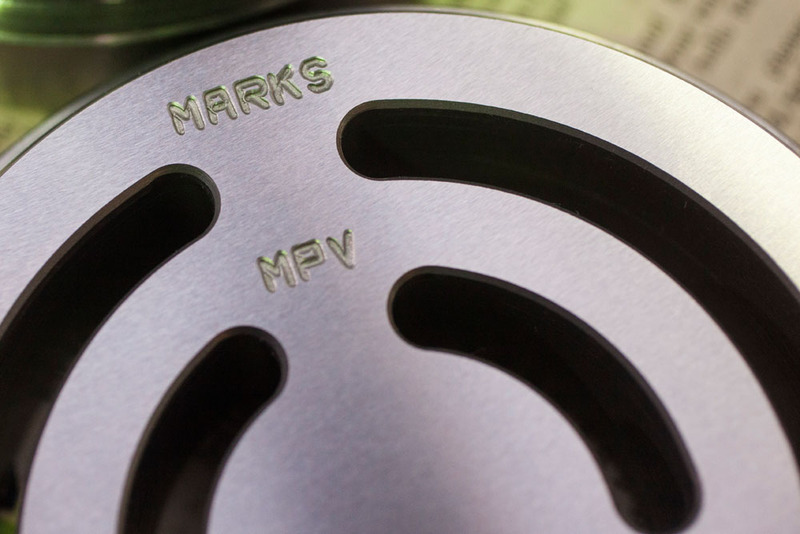 Studies by an independent analyst firm have proven that the MPV® valve improves production efficiency from 3.7% to 20%, as compared to OEM valves. 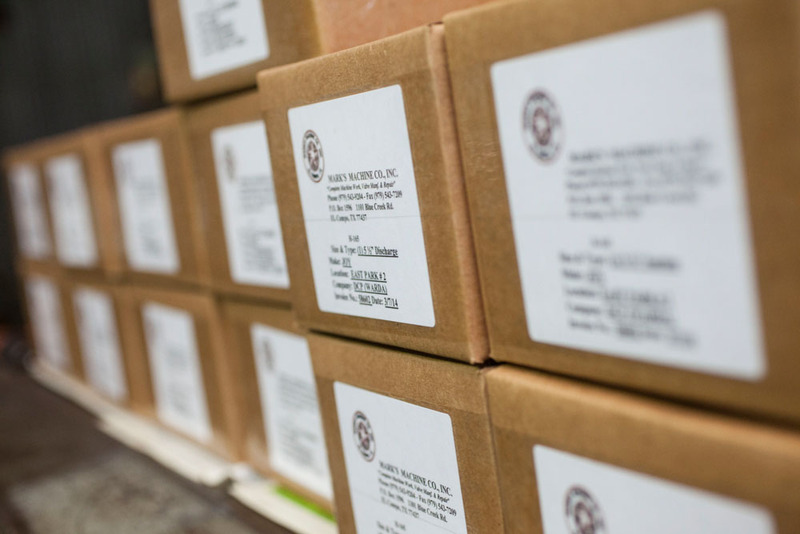 Each MPV® is engineered for the specific environment it will be used in and is serialized for 100% traceability. With nearly a century of combined experience among our management and technicians, our valve has proven itself to be one of the top performers on the market. For more information on the MPV® or to schedule a presentation or field test, please contact a MMCI regional or international sales representative. The Maximum Performance Valve (MPV®) series was developed in order to fulfill the need for a valve replacement that is far superior to those that were already on the market. The MPV® valves are designed for most any application, but have been proven to be especially advantageous in applications where foreign materials and liquids are present. The MPV® valve can be sized and adapted to replace any O.E.M. compressor valve currently on the market. The MPV® valve’s best asset is its simplicity of design, in that it requires no internal guides, pins, or wear bands, which makes any maintenance minimal. The MPV® valve uses non-metallic disks that are available in several materials and adapt to temperatures ranging from freezing to a maximum operating temperature of 675°. The physical design of the MPV® valve allows for the additional passage of gases by offering significantly less restriction, thereby reducing temperatures and the horsepower that was previously needed to operate the compressor. 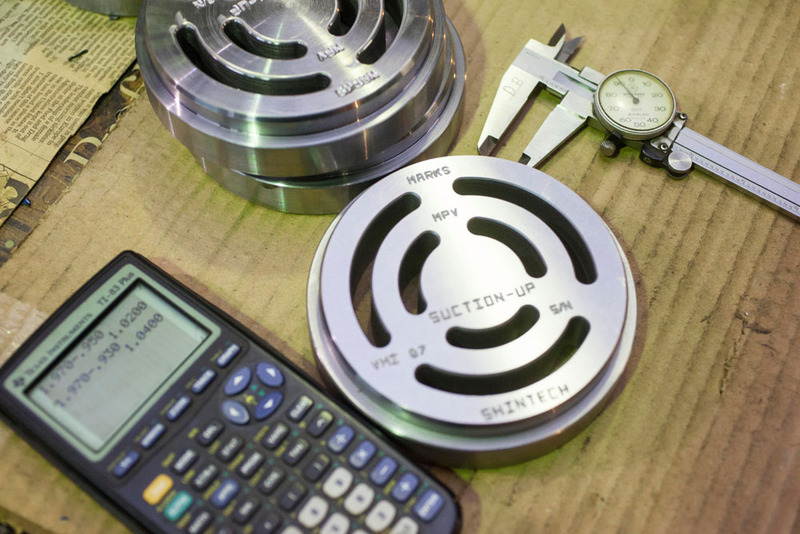 The MPV® valve body is manufactured of 4130 annealed alloys in standard applications, but stainless steel and other materials are used in special situations. 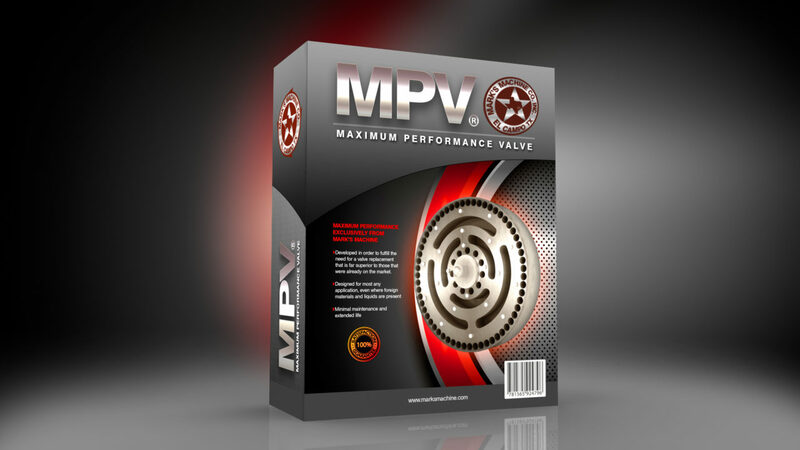 The MPV® valve has been shown to have a longer service life than its O.E.M. counter parts. A study by an independent analysis company has proven that the MPV® valve significantly increases efficiency by developing flow rates that increased from 3.7% to 20%. 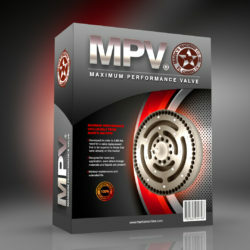 The MPV® valve is highly regarded by most major US oil companies and comes with their recommendations and accolades. With the MPV valve in your compressor, you will immediately notice increased production, less downtime with an overall savings in operation. The MPV® valve can be designed for almost any application in O.E.M. compressors, but its simple design has proven it to be especially advantageous in severe service where foreign materials and liquid carry-over are present. This is accomplished because the MPV seat incorporates a seating radii within its concentric flow channels. The design of the seat helps guide the rings into the channeled ports, reducing ring edge loading and eliminating the need for separate ring guides or pins. The MPV® guard has several features such as additional grooves that prevent hydraulic lift and thru holes that are incorporated at the bottom of the spring cavities to prevent trash accumulation. The guard design allows foreign materials to pass through rather than collect and be trapped under the rings and springs. 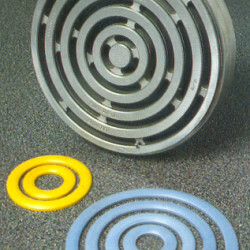 By using this unique design, the MPV® valve eliminates the 90° flow turns that are standard with traditional valve plates and rings, thereby reducing heat, turbulence and ultimately valve loss. The number and depth of holes in the valve guards is varied from valve to valve in order to optimize the spring pre-load. 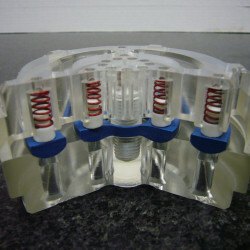 Only one spring size is used in a particular valve, reducing the risk of misassembly. 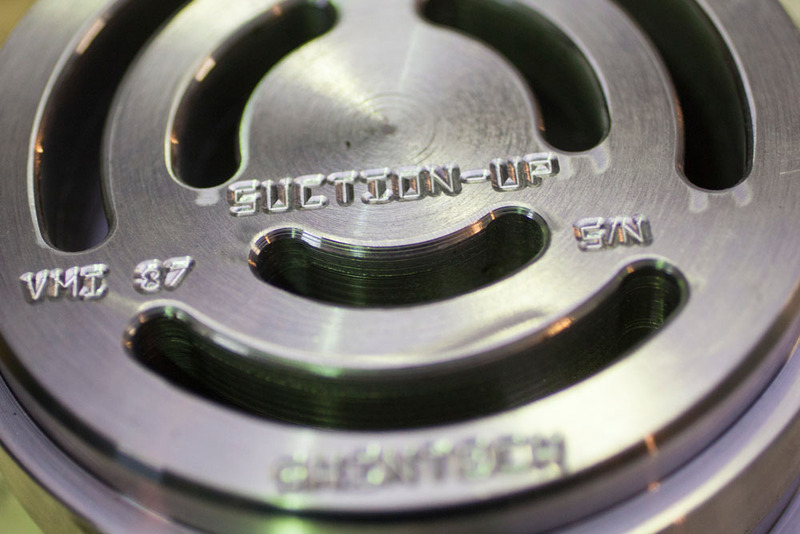 The MPV’s Teflon spring buttons are designed to center the spring and keep it from rubbing the rings and sides of the holes in the guard. 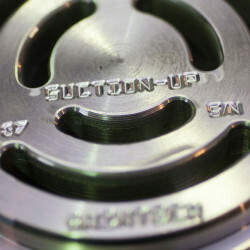 In the case of spring failure, the Teflon button collapses, trapping the spring debris in the button hole and reducing potential damage to the compressor. This design makes field repair possible if no scratches are visible on the seat sealing surfaces. To perform a field repair, clean the seat sealing surface with steel wool and mineral spirits; lightly oil the seat and guard; install new springs, buttons, and rings; and lightly lap the rings. This reduces downtime and often cuts the cost to repair the valve by as much as 75%. 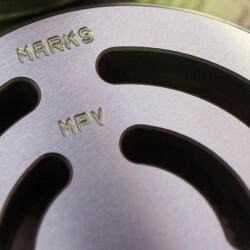 The MPV’s stop plate and seat are made from 4130 annealed steel. 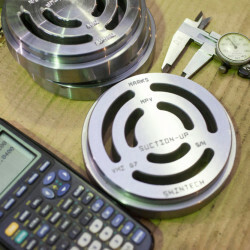 For specific applications, stainless steel or various alloys can be used. 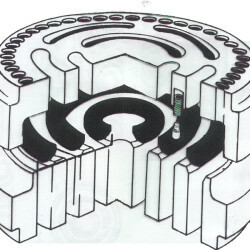 MPV® rings are made of several job-specified materials. The material used for most common applications is glass-filled nylon or peek. For extreme environments such as high heat, excessive corrosion, or low pressure, materials such as Torlon UHMW or carbon-filled Teflon may be used. 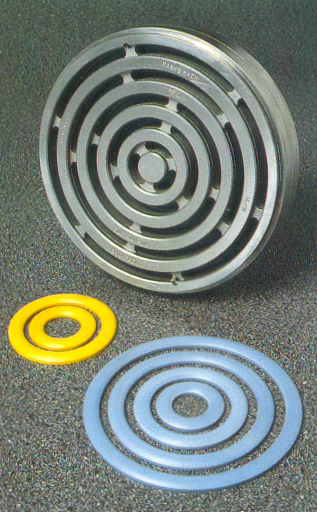 The Teflon button and spring set-up are a standard feature of the MPV® from Mark’s Machine Co., Inc. 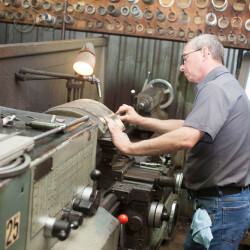 Guards, seats, rings, and buttons are made and stocked by Mark’s Machine Co., Inc. The MPV® Series has been servicing the petrochemical industry for more than 20 years with companies such as Exxon, Shell, Mobil, Union Oil, Phillips BB, Texaco, Marathon, Dow Chemical, DuPont, Union Carbide, Energy Resource Technology GOM, INc. (ERT), Celanese, Oxea, and Shintech. A full listing of references will be furnished upon your request.